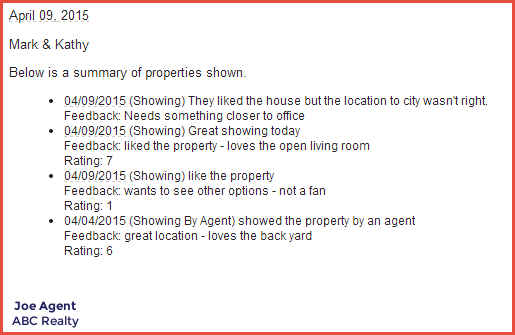 On Day 14, I discussed the Seller Report tab in a Property. Today I will show how to use information in that tab within a template and a workflow. We've designed Realvolve with special merge fields for updating sellers on the actions taken to market and sell their property. Take 6 minutes to watch the video ( SEE VIDEO) on creating a template, using checklists and actions to automate the entire process. NOTE: For the example email we used the NonSentOnly merge field so that each time we email the seller they only get the Seller Report information that we have not already sent (only the new entries). The key concept is to understand that you are able to make small comments in the seller reports area and update your seller on a regular basis using workflows. TIP: The video shows sending the weekly report to the seller manually however, If you have the automated emails setup as we described yesterday then the email to the seller can be sent automatically at the appointed time. When using the Showings options and assigning contacts to the property, additional contact merge fields can be used to send similar types of information. These merge fields are available for templates that have the "Use With" set to Contact.